A BLACK SUIT, A BLACK HAT, A PAIR OF BLACK RAYBAN SHADES. YOU ALREADY KNOW WHOM WE'RE TALKING ABOUT. THE BLUES BROTHERS! This is what happens when a costume is not just a costume, but a legend. And this is exactly what the costume designer Deborah Nadoolman Landis did: she has created a legend. 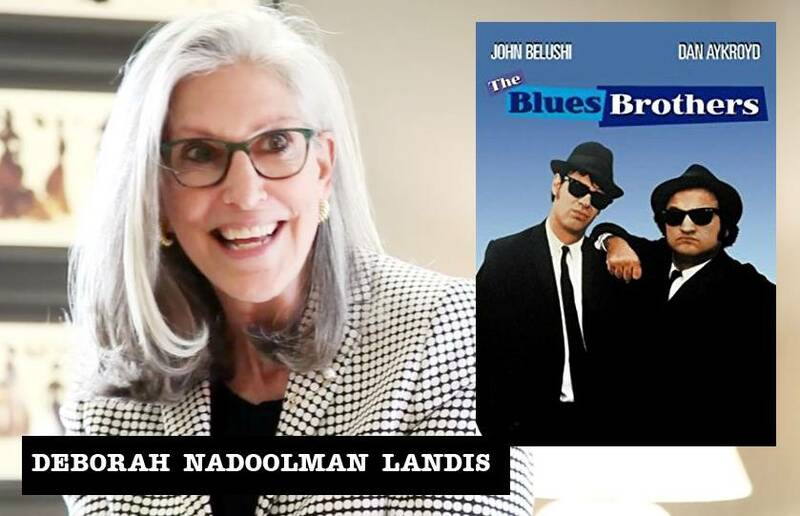 In this new video of “Meet the Hollywood Costume Designers”, the costume designer Deborah Nadoolman Landis tells us what’s behind a cult movie, she recounts the evolution of the unforgettable characters of Joliet Jake-John Belushi and Elwood-Dan Aykroyd, the big issue she had with the Ray Ban Wayfarer John Belushi kept on giving away to all the pretty girls he met. And, above all, she tells us how – together with her husband, the cult director John Landis – she has created a legend. Because whenever the melody of “Everybody needs somebody to love” comes on, two suited men with dark shades and hats are on everyone’s mind. Two brothers on a mission from God that go through the most anarchic film in Hollywood history and come out from catastrophic situations keeping their suits always clean and perfect. Ladies and gentlemen, The Blues Brothers! UN COSTUME NERO, UN CAPPELLO NERO, UN PAIO DI RAYBAN NERI. AVETE GIA’ CAPITO DI CHI STIAMO PARLANDO. THE BLUES BROTHERS! Questo è quello che succede quando un costume non è semplicemente un costume, ma una leggenda. E questo è proprio quello che ha fatto la costume designer Deborah Nadoolman Landis: ha creato una leggenda. In questo nuovo appuntamento con “Meet the Hollywood Costume Designers”, Deborah Nadoolman Landis ci racconta i retroscena di un cult movie, l’evoluzione degli indimenticabili personaggi di Joliet Jake-John Belushi e di Elwood-Dan Aykroyd, il grosso problema con i Ray Ban Wayfarer che John Belushi continuava a regalare alle ragazze carine e come – insieme al marito, il regista John Landis – ha creato una leggenda. Perché alle prime note di “Everybody needs somebody to love” tutto quello che viene in mente sono due personaggi in costume nero, con cappelli neri e occhiali da sole neri. Due fratelli in missione per conto di Dio, che attraversano il film più anarchico nella storia di Hollywood mantenendosi sempre perfetti. Signore e signori, i Blues Brothers. Previous Post HERE IS WHERE YOU SEE HOW A PAIR OF LUXURY SHOES IS REALIZED IN 2 HOURS … AND WE’RE TALKING OF HANDMADE SHOES!